One aspect that makes a European vacation sound so enticing is its concentration of such diverse, unique cultures. You can be sipping a cappuccino in Rome in the morning and gazing at the lights of the Eiffel Tower at sunset. But if you only have time to visit one country in Europe, which should it be? With so many amazing places to visit, and often so little time available, how will you choose? Without exception, my answer is always Italy. In Italy you will find the best of just about everything. Looking for history and culture? Visit the Colosseum and Roman Forum. Church history? Vatican City, center of the Roman Catholic Church, is just around the corner. While you’re at it, you can’t help but admire the best paintings, sculptures, and architecture in the world created by the masters of the Renaissance. Want more art? A trip to Florence is enough to turn any couch potato into an art snob (trust me, even if you don’t think you’re interested in art, Michelangelo will convert you). Follow that up with some relaxation along exquisite, picturesque Italian coastline before visiting the most unique city in the world: Venice. A historical center of trade and power, with canals for roads and a basilica with a ceiling of gold, there is not other city in the world like Venice. If you wanted to create one destination with the best of everything, you couldn’t even imagine Italy. It isn’t fair that you can experience all of this while enjoying world-class food and wine, in some of the most beautiful vineyards just outside the walls of their medieval hill-towns. With everything on offer in Italy, the question quickly shifts to how do you best spend your time exploring all of the wonders of this magnificent country? Fear not, because thankfully you can take in all of the highlights and still have some time to relax, wander the quiet alleyways, and sip sciacchetra from your harbor-side table next to the Mediterranean. Here is a suggested itinerary for trips ranging from a few days to a couple weeks that allow you to take it all in. Admittedly, and unfortunately, tourists now overrun this coastal gem. However, if you can visit during the offseason, stay a few nights, and get out to hike to some of the towns near the top of the cliffs, you can still find some of the magic that is Cinque Terre. Designate this part of your trip as time to slow down. Cinque Terre can’t be captured in a postcard. It has to be experienced slowly, over a long period of time. Stay a few days. Wake up early, nap, and then stay up late. Find a relaxing rhythm that also avoids the crowds. There is nowhere else on earth quite like Venice. Its narrow canals and mystical gondolas will make your heart skip a beat, but in all honesty there is a high likelihood you’ll be ready to escape the crowds after a couple of days. If you can get out to the islands of Burano or Murano they may offer a small respite. Venice is certainly worth a day or two, but unfortunately it isn’t worth much more. 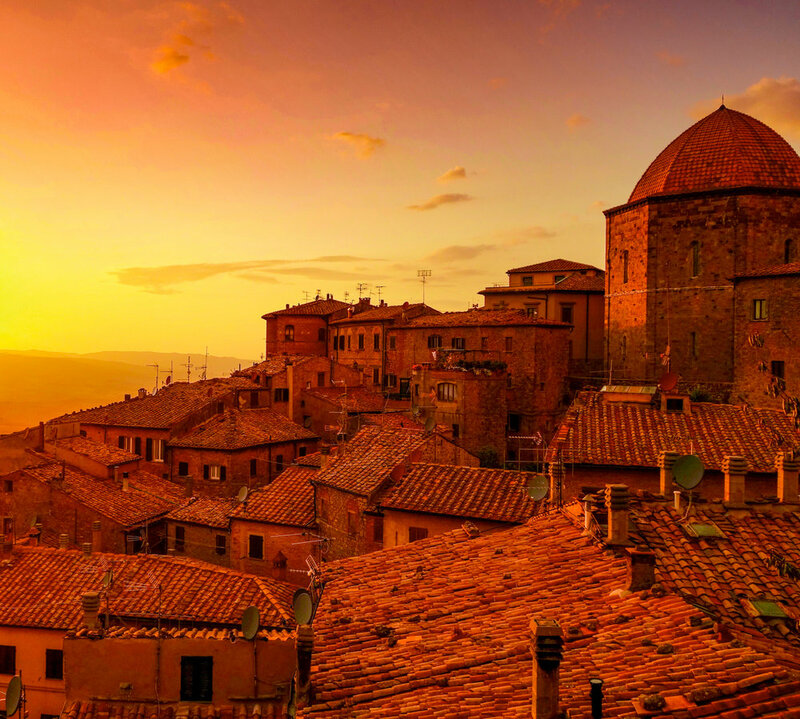 Sienna – rival to Florence, and home of the Palio di Sienna, one of the most famous horse races in the world. For those fortunate enough to have some significant vacation to burn, head north encounter the alps, beautiful lakes, and the fashion center that is Milan.